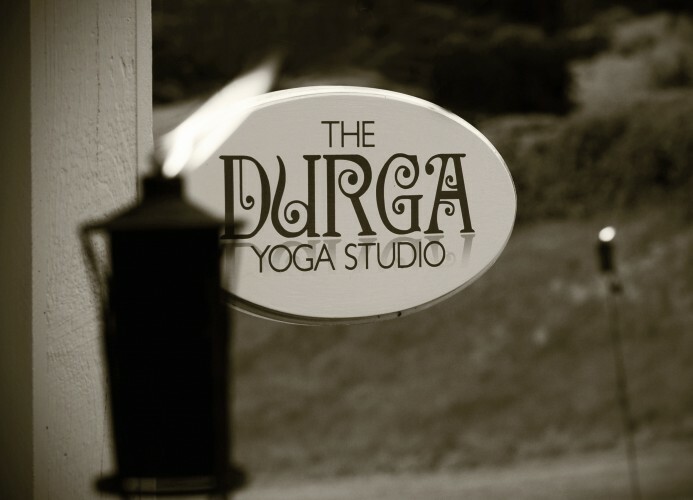 Based in historic Harvard, Massachusetts, The Durga Studio is an ever-growing community of beautiful people who come together to cherish to the world around them, to hold space for each other’s sacred journeys, and to connect to their own divine spirit within. The Durga Studio is rooted in tantra ~ a celebration of the miracle that is in each breath, in each moment, in each and every one of us. Our bodies, our breath, and our senses are ways we have been given to arrive at a place of peace, of acute awareness and presence of being. Our yoga classes are full of philosophy, mythology, postures, breath work, and restful meditations. We welcome students of all levels; whether you have never stepped on the mat before or are a life-long practitioner, we invite you to be right where you are, to explore the possibilities, to honor your limitations, to celebrate YOU in all ways. Classes are warm, not hot, with the idea that the body heats naturally from the inside out. In each of these special flow classes, you can expect to find synchronicity with universal rhythms; detoxify, stretch and tone; unleash your energy; nourish and nurture your soul; find your breath; melt into relaxation. Come walk ~ or in the words of Henry David Thoreau ~ saunter with us on a soul journey through our inner Nature. This winter The Durga Studio steps into the gentle, simple and joyful teachings of the natural world, Henry David Thoreau and of the yogic philosophy of Oneness that inspired his musings. We will explore yoga postures, the breath, meditation, mindfulness, mythology, philosophy, literature, plant medicine, and outdoor outings in and around Harvard and Concord. Together we will examine the idea that Nature is revealed, reflected, and celebrated within and through our bodies; we not only are a part of Nature herself, but all of Nature is found within us. Surrounded by our supportive Earth community, come discover how deep inquiry, awareness and Mother Earth herself lead to connection, wholeness and healing. Relax, let go, ground, nourish, nurture, recenter and reconnect to your body, your spirit, and to all creation. Bring a mat, water, and a Nature offering for our community altar. All are welcome! OM! scheduled throughout the week at your convenience. Email jen@thedurgastudio to schedule your private session. Your soul needs this!